Creo Consulting Japan supports all companies which have already started doing business, or planning to start a business in North America. We also provide international business consulting services to companies located in Japan and are willing to employ bilingual candidates. In addition, we have a great support system for Human Resources management in North America. We will introduce you to candidates who hold Japanese work VISA and would like to come back to North America, or want to have another opportunity to work in Japan. They are familiar with the Japanese culture and language, so they can be a strong asset to any company doing business globally. We will introduce you to candidates in Japan who are fluent in both English and Japanese, with experience studying in North America, and willing to work abroad. It is easier to get a working VISA in the US (L1-b) if people have the required amount of work experience in Japan. These services are made possible because Creo has an office in both Japan and North America. Currently in the US, obtaining a work VISA as a foreigner including Japanese, is very difficult. Many Japanese companies with offices or plants in the US have difficulty finding qualified Japanese bilinguals. Creo Consulting Japan will use the parent company's recruiting know how to introduce bilinguals, as described in above 1 & 2, to companies located in Japan and North America, as well as, assist Japanese parent companies in Japan for the purpose of relocating their Japanese bilinguals to their subsidiary in North America. Our parent company, Creo Consulting, LLC is located in Cincinnati, OH (Central to the Japanese Automotive Industries), mainly providing HR/ Recruiting services to Japanese owned automotive related manufacturers and experience in assisting in the start up of many Japanese companies in North America. We have a huge network of service providers in the US, not only in recruiting, but lawyers, bankers, accountants, office properties, advertisers, etc, so that we can provide total support for any new business. When you come to the Midwest area for a business trip, we provide a local interpreter for every business purpose. We conduct a detailed screening process so the right person with the appropriate level of interpretation skills is ready for you when you arrive. Bilingual staff in the US translates Japanese and English, our Native English speaking staff checks quality before submitted. 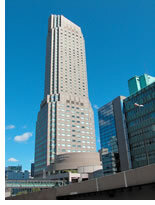 All work will be performed in the US, so we can provide a more valuable service than is possible in Japan. All payments direct to Creo Consulting Japan, so no hassle of overseas wire transfers or necessity for English documents.